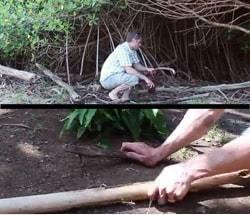 How To Start A Fire With Sticks And Nothing Else? You don’t need to be a genius to be able to rub two sticks together. Nor do you need some legal document to learn how to start a fire with sticks. What you require are a reliable survival technique and a creative license. And these are the things that you’re going to get in this article. 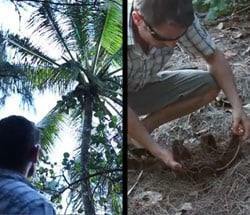 How to make a fire with nothing but nature can help you in unimaginable ways. What are the chances of you gettin﻿g stuck on an island like Tom Hanks? Pretty slim, right? But who cares! You should know how to make a fire with sticks and leaves. This fire can help you cook food, keep warm, purify water, keep predators away, create char cloth, and a lot more. Just let your imagination run wild. And you’ll see how beneficial it can be, whether or not you’re stuck on an island or somewhere else. Life can be pretty unpredictable, and at such times you’re not going to have access to state-of-the-art fire-starting materials. But that doesn’t matter. 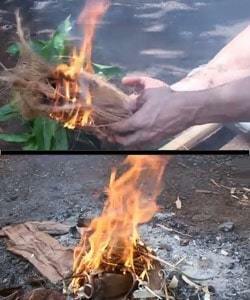 Because as long as you have access to dry wood around you, you can adopt the primitive technique of starting a fire that I’m going to share with you below. So are you ready to fire up? Let’s do this! To carve and to shape the wood that we’re going to use to start the fire, you will require sharp rocks. Now, finding sharp rocks may be quite a tedious task since they are very hard to find. So we’ll just get any two rocks and smack them together to make one sharp rock. And for this, we’ll have to use the technique called percussion flaking. The method of percussion flaking demands you to produce sharp rocks with little effort. And it only works with rocks that have a conchoidal fracture. That means you need to use rocks like basalt, porcellanite, silcrete, shale, quartz, jasper, agate, chert, and many such sedimentary rocks. They are known as knappable rocks. All you have to do is strike one rock with the other near its edge. This will cause a fracture in the rock resulting in the rock breaking off in a neat uniform fashion. Where will you find tinder? At the base of coconut trees. They will be in the form of coconut husks. You can easily use these husks as tinder given the high amount of dry fibers they contain. 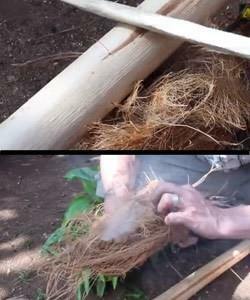 And if you want to learn how to start a fire with sticks sans coconut husks, then you need dried leaves, grass, or weeds. Any natural product that is highly combustible will do the job for you. So you can also use wood shavings, twigs, small sticks, or dried tree bark. If what you find is not dry, then allow it to dry out under the sun. 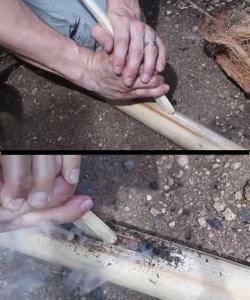 This is one of the most important elements when learning how to start a fire with sticks. Without proper wood, there’s no way you can keep the fire going. Along with collecting tiny wood shavings and twigs, you will also need larger-sized branches or big logs. The goal is to gather wood of different sizes. If these natural ingredients for the fire are not lying around, then you should use the cutting tool to build them. Once you’ve got your big and small-sized wood to keep the fire going, it’s time to collect wood to create the fire. Dry wood such as cottonwood or hibiscus sotol is sufficiently soft and light in weight to start the fire. If you’re using coconut husks, arrange them in a nest by shredding them into long and thin fibers. And if you’re using dried leaves, grass, weeds, wood shavings, twigs, or little sticks, then do the same thing. But with the latter, make sure that any embers don’t fall through the nest’s bottom. 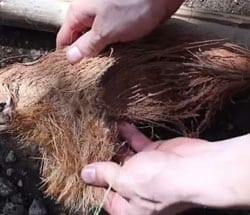 In the case of dried tree bark, pound the material with the help of stone to split the fibers. Then add these fibers to the rest of your tinder materials in the nest. 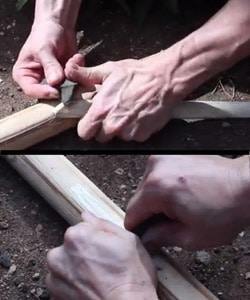 If you want to learn how to start a fire with sticks, you must give this step a lot of importance. When you’re arranging the stick plow and the base for the fire, you should make sure that they both are extracted from identical branches. To get better results, the sticks must be softer than the wood used for the base. To build the plow, use your cutting tool to fashion it with the measurement, 1 foot by 1 inch by 1/3 inch. Then you need to carve the plow’s tip to give it a 45-degree point on both the sides. 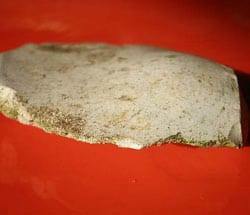 To build the base, use a sharp rock to form a flat spot on the wood base. Carve it down till you get a surface that is 8 inches long. Now, to guide the plow, you will have to create a groove along the center that’s not too deep. The base’s front portion needs to be stabilized by wedging something beneath it. To support the stick’s back portion as well, you can sit on it. Now it’s time to fire it up! The base stick’s bottom needs to be stable at this point, and you should be sitting on it. Keep your steady hand at the bottom and the other on top. You have to make sure to leave an inch space in the portion where the base comes in contact with the plow. The tip should set firmly right in the middle of the groove track. Then you can push it forward and backward at a 45-degree angle. Don’t apply excessive pressure just as yet. Once the heat generated by the friction starts to build up, you will notice a little bit of smoke. And just as soon as this happens, use your steady hand to apply more pressure on the tip. It’s when the charred wood starts piling up that you have to further increase the pressure. Do this until you’ve ignited a small fire in the ember. Once you’ve got the embers burning and generating some smoke, it’s time to dump them in the tinder. Topple the base of the ember over your tinder. And make sure that you throw every burning ember in the prepared bundle of kindling. Cover this with some more tinder material or fibers. Let the heat build up in there. To achieve better results, you can blow some air into the tinder. Once you see a generous amount of smoke erupting from your tinder, you know it’s working. Thick smoke is a good indication to start getting a little more aggressive. And you can do so by blowing some air right in the center of the tinder bundle. This way you’ll soon see the flame ignite. Once the fire is burning, use it to light up the kindling that you set up earlier. And don’t worry if the flame goes out. As long as you see thick smoke erupting from the embers, you can always re-ignite the flame by blowing some air into it. And there, you have it! You’ve finally learned how to make a fire with sticks and leaves. Time to Start a Fire! 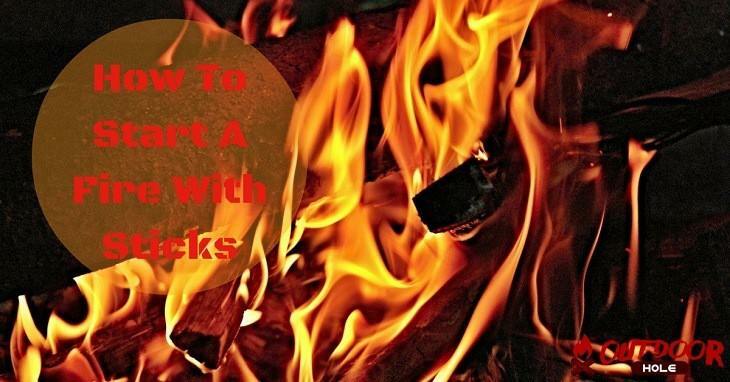 In this “how to start a fire with sticks” guide, I have gone through the entire procedure step by step. 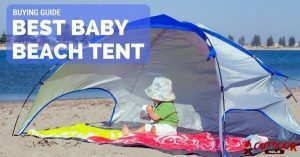 The detailed instructions have been provided so you can understand the process better. Just make sure that whatever you do, keep the safety of your surroundings and yourself in mind. Fire is something that you don’t play with, so proceed with utmost caution. And also, think about us the next time you’re stuck on an island or anywhere else where you need to start a fire. I hope you followed the instructions correctly. If you want to learn how to make fire in the woods, then you have to go through this procedure thoroughly. Have you ever tried the fire plow technique in the woods? If not, then how have you tried to make a fire with nothing but nature? Please share your wonderful experiences with us below. 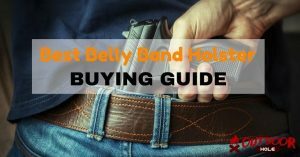 How To Wear A Boot Knife Quickly Without Wasting Time? 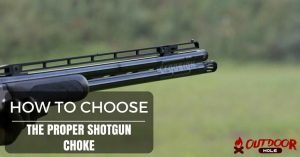 Previous PostHow To Cape A Deer Quickly Without Ruining The Meat? Next PostHow To Wear A Boot Knife Quickly Without Wasting Time? 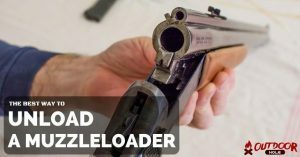 What Is A Safe Way To Unload A Muzzleloader Even For The First Time? 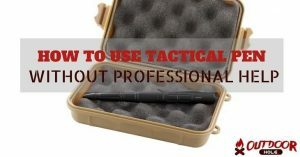 How To Use A Tactical Pen Without Any Professional Help?